At Party Barn Boat & RV Storage, we totally get it! You don’t want your new Winnebago Via sitting outside in the elements. Hail damage to that vehicle could be devastating! And your shiny Monterrey Surf Edition doesn’t belong out in the elements either! That is why we offer covered storage for your boats, RVs, and campers. Covered storage comes in several varieties. We offer covered storage with and without electricity. We also offer a few different clearance levels—9.5′, 11′, and 11.5′. This will allow you to pick appropriate storage for your needs. We want our customers to feel confident when their vehicles are in storage. Rest assured that they are safe from the elements, intrusion, and anything else that might keep a boat or camper owner up at night. However, if your boat or camper has been around for a while and you aren’t as concerned with potential weather-related damage, uncovered storage is the less pricey option. Uncovered storage spaces are 12′ by 30′. Or if you would really just feel better if your vehicle was in enclosed storage, we offer that as well. The spaces come in the same dimensions as the uncovered storage. The only difference is you can choose between 8′ clearance and 9.5′ clearance. 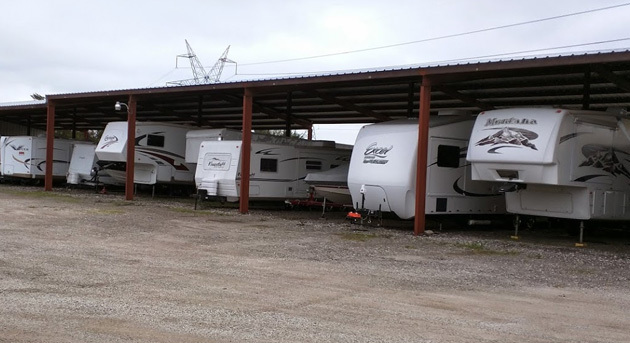 No matter what storage option you choose, Party Barn Boat & RV Storage is located conveniently between Lake Lavon and Lake Ray Hubbard. That way you can come pick up the boat and head out to the lake without a lot of extra tasks or miles out of the way. Storage is perfect for people with HOAs, people that don’t have enough room at their own home to store their campers, RVs, or boats, and for people that just want to keep those vehicles out of the way and out of eyesight. For more information about covered storage at Party Barn Boat & RV Storage, contact us today. 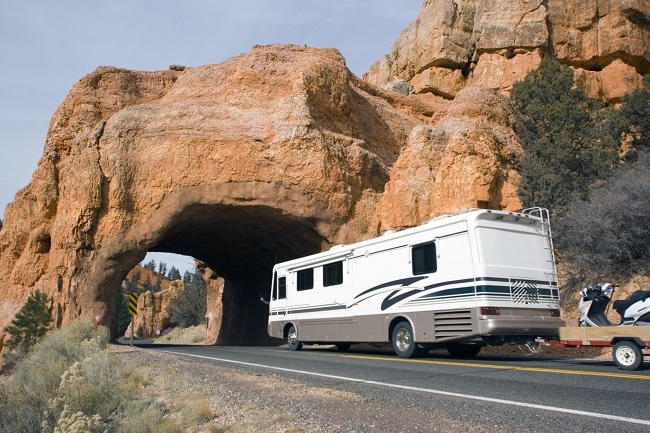 Your RV is your very own home away from home as you travel from one destination to the next. Not only is it your home while you are a traveling, it is also a sizable financial investment. When you are not using your RV, we know you want to make sure your RV stays in the perfect condition and that it remains safe. Instead of parking your RV in your backyard or letting it take up most of the space in your backyard, you can choose to store your RV in a storage facility. When you store your RV in a storage facility, you will not only have your own space, but you will have easy access to your RV’s storage spot and you will have privacy. If you ever decide to take a trip on the spur of the moment, you will be able to obtain your RV without any frustrations or hassles. You may also find it convenient to store your RV at a storage facility so you can free up some extra space in your garage, driveway, or backyard. Your RV will no longer be an inconvenience when you need to enter or exit your driveway. If you store your RV in your backyard, your garage, your driveway, you may not be getting the best type of security for your RV. If you want to have the comfort of knowing your RV will be locked away safely from, you should consider storing your RV at Party Barn Boat & RV Storage. Keeping your RV safe is one of the main reasons customers just like you choose our storage space. We take pride in providing our customers with the security they have been looking for by providing them with personalized access codes to the gate. Many people do not take these measures to keep their RV safe when it is parked at their house, and you may find it easier to store your RV at a storage facility. We take pride in creating a safe and family-friendly atmosphere. When you leave your RV at Party Barn Boat & RV Storage, we want you to leave it here because you trust our facility and you trust us to keep your RV safe. For more information about reserving space for your RV, please do not hesitate to contact us today for more information.